First of all Unhappilly I had to format my original windows that came from DELL. Then I installed the windows 10 but it installed the microsoft mouse driver ps/2. 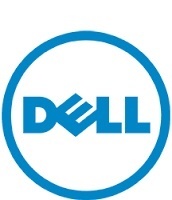 I Already tried to install the Dell driver synaptic for my inspiron 5547 that I downloaded on Dell's website. I had tried to unzip the executable and put it manually (updating the driver) but it is not working at all. Could Someone help me with this ??? Windows 10 Home, OS 32 bits, processor based on x64. Sorry About my English mistakes, I am Brazilian and trying to solve my touchpad issue. Please check out the information in the link below, hopefully it will be of help to you. The Inspiron 5547 has not been tested for Win 10 OS and hence, there are no Win 10 drivers available for this model. Download the Win 7 driver - and install the driver in compatibility mode - restart and check. If it still does not work, then download the driver and extract the package to your desktop and manually install the driver and check. Thank you for the answer DELL-Rishi. As I said I had tried it for many times, but it did not help me. However I went to the web site of synaptics and downloaded the "Windows 10 PS/2 & SMBus Devices v19.0.19.1*" file and put it manually. After a restart it works. Now I can see the tag of "Dell Touchpad" on mouse settings and the scrolling is working again on touchpad.